Join our Brotherhood to make a difference in the lives of others, and to build strong bonds with other Temple men. 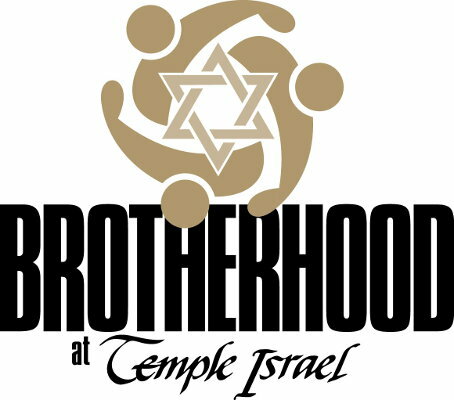 As the men’s affiliate group of Temple Israel, our goal is to strengthen the ties of our congregation and our community through service. That’s why we’re actively engaged in improving the quality of life of our members, our families, and our greater society. We fulfill our mission by developing programs that benefit Temple families and enhance the spiritual and educational needs of our community. Brotherhood offers meaningful programs throughout the year, such as breakfast speakers, college dinners, and a great golf outing. We also hold an annual Shushan Hold’Em tournament, and participate in a Jewish community softball league. We hope you’ll join us. We hope you’ll join us on our mission to enrich the lives of those around us. Click here to join or renew your membership. For more information, please contact Brotherhood President Brian D. Karbel at 248-425-3487. These links open a PDF file in a new browser tab, where you can view, save and print them. Join Brotherhood for our general meetings and three-part series of AMA (Ask Me Anything) events. Ask Me Anything is a no-holds-barred round table discussion, with the opportunity to ask Temple Israel clergy questions on the topic of the evening, either from a religious or personal perspective. Tickets are only $10 per person, which includes dinner! Join us at Comerica Park for the Detroit Tigers vs. the Oakland A's. Cantorial Soloist Emma Trivax will conduct the Shabbat Singers in the National Anthem! Rides and running the bases (weather permitting) for children under 14! A portion of each ticket sold is a donation to our community service project, bringing guests from JARC, Kadima and other non-profits to the game.